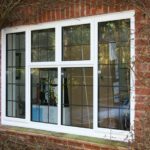 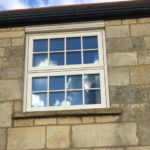 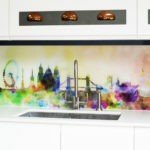 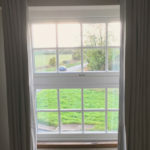 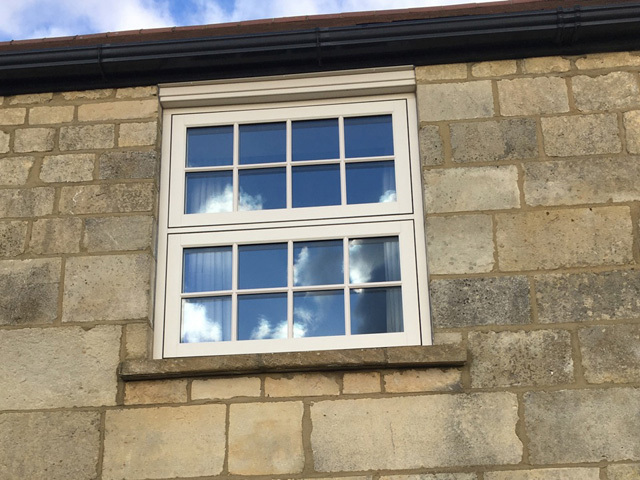 As our clients had an image of the original windows we were able to recommend a high quality product that would aid them in replicating this style. 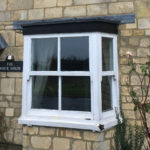 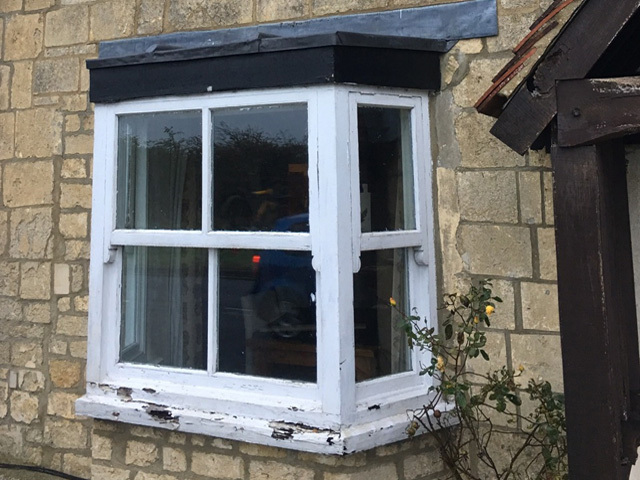 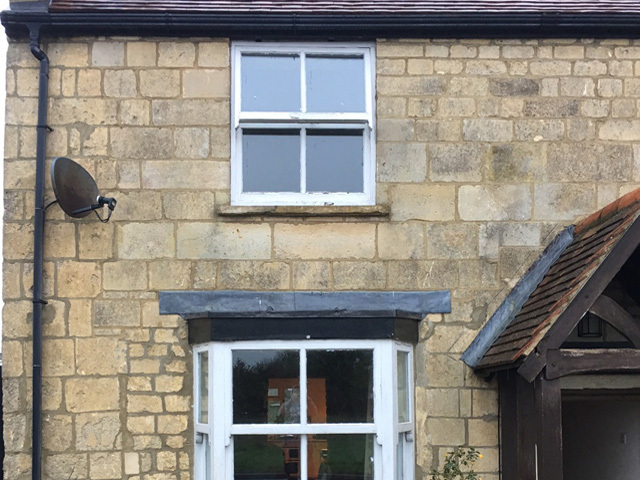 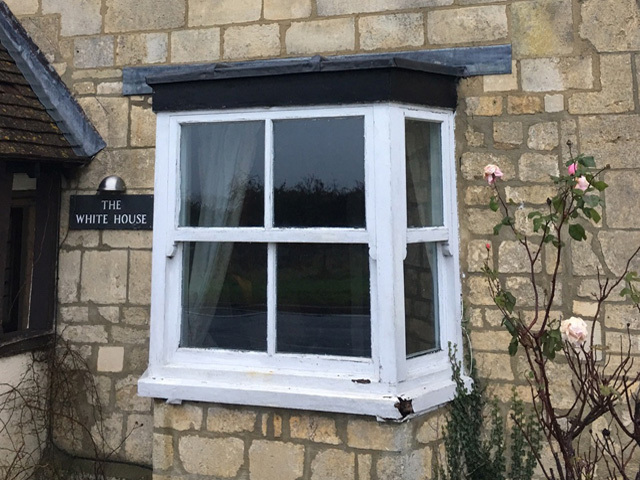 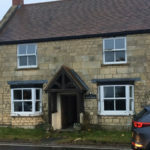 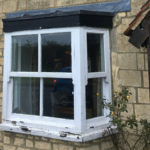 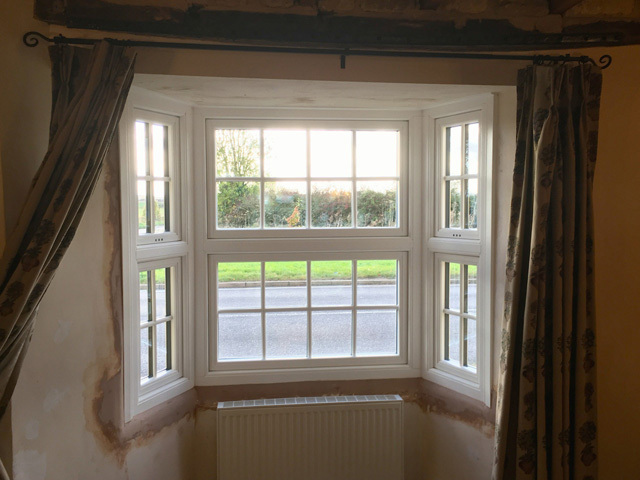 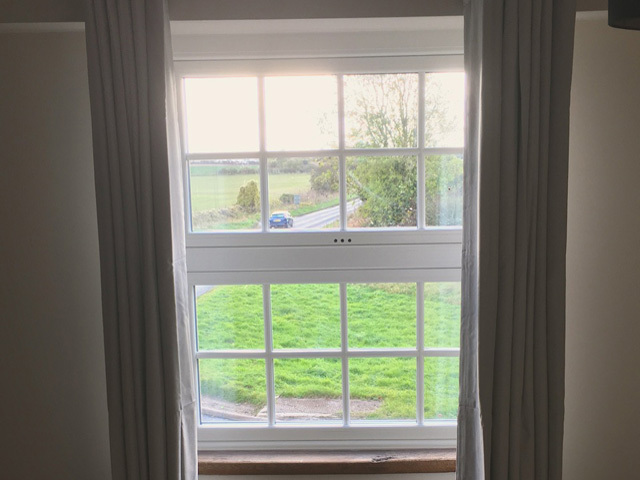 We therefore replaced the old timber windows for Residence 9 flush casement windows with decorative antique black monkey tail traditional han-dles. 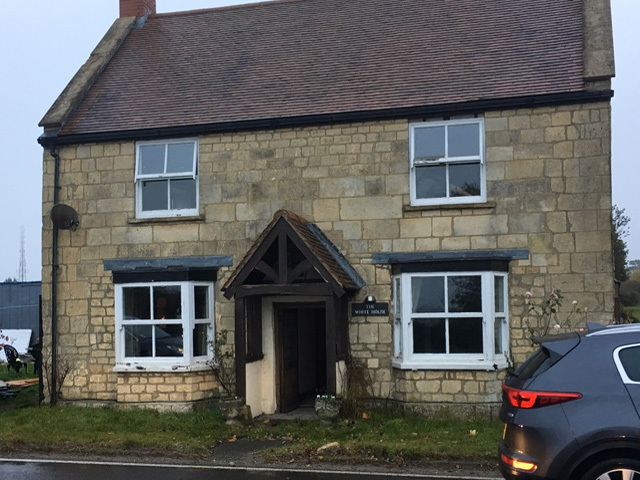 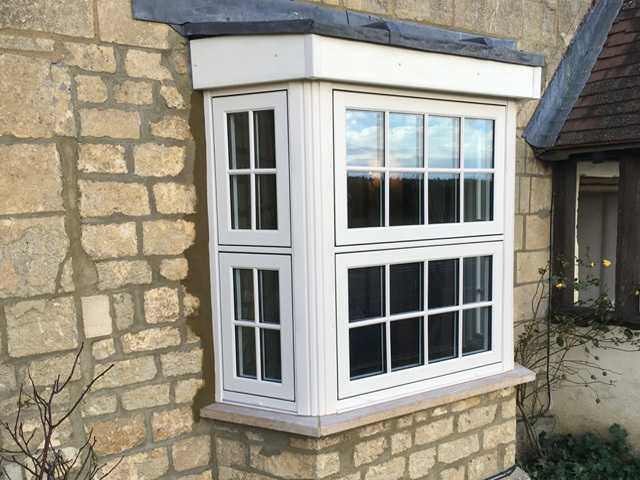 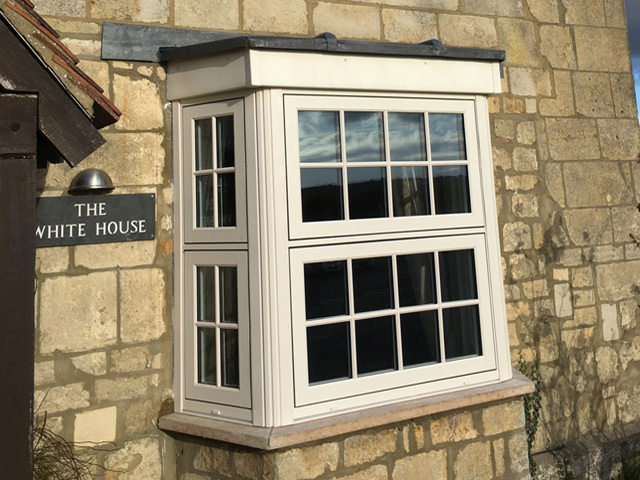 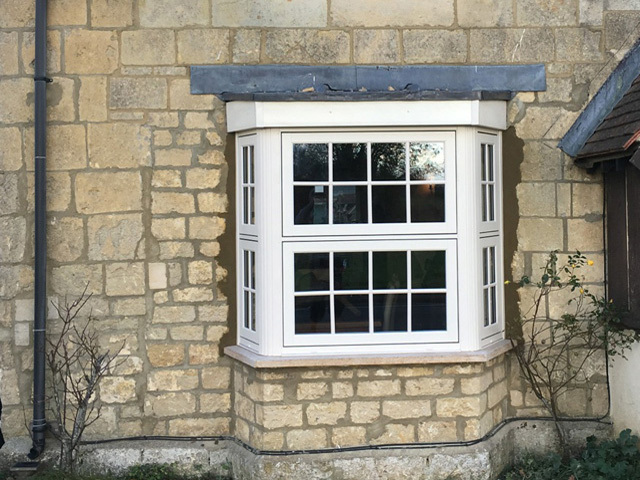 Our clients chose the grained white colour inside to ensure a good reflection of light and the exterior colour of ‘Cotswold Biscuit’ which compliments the stone beautifully. 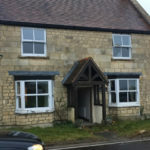 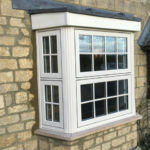 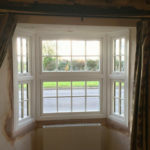 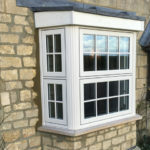 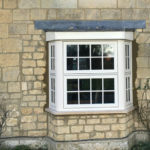 We also fitted two new stone cills to the bay windows to ensure that everything was perfectly finished. 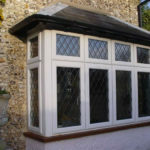 Our clients chose these windows as they had a very specific look to re-create and this enabled them to do that. 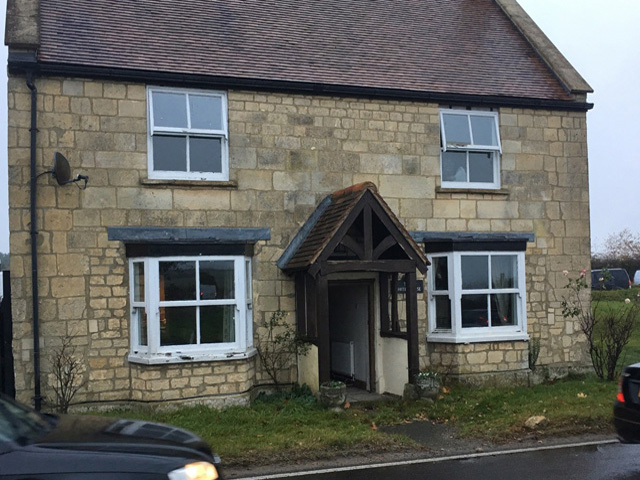 Whilst the building does have new windows, they do not stand out as looking overly new and modern. 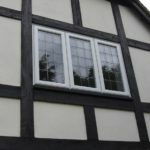 The Georgian bar lattice work preserves the homes character and has an au-thentic appearance. 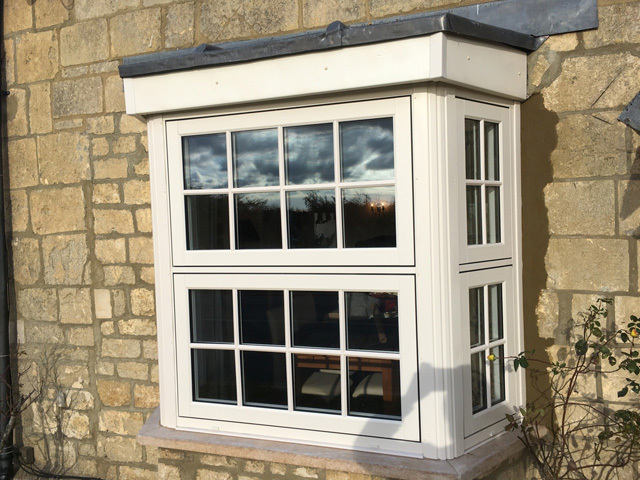 The chosen windows benefit the property not only aesthetically but they are much more thermally efficient and now very low maintenance. 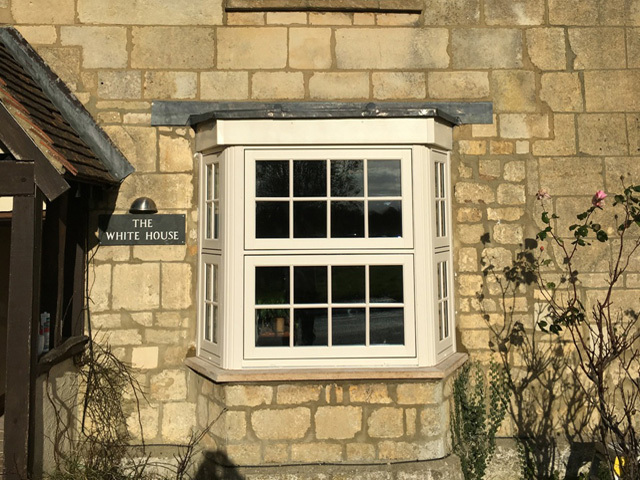 These Residence 9 Heritage windows have been specifically designed to re-create that authentic period look and the attention to detail continues to impress our customers. 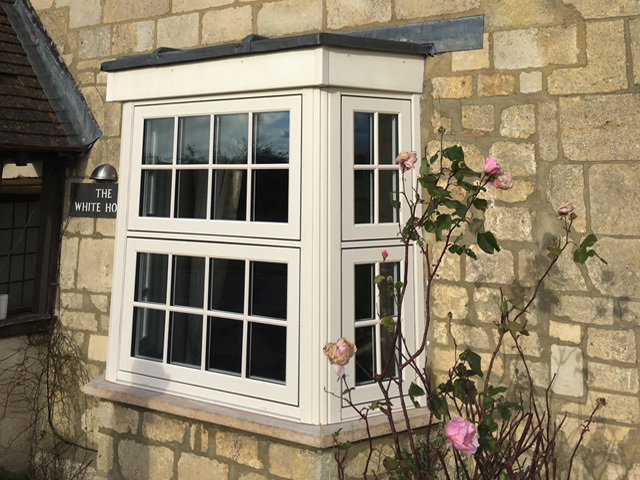 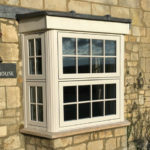 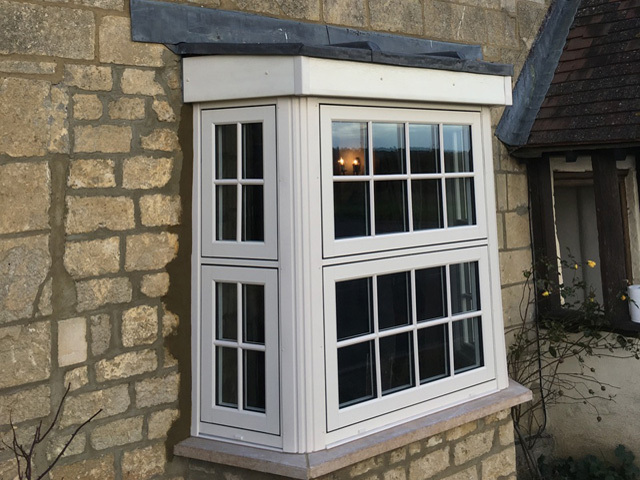 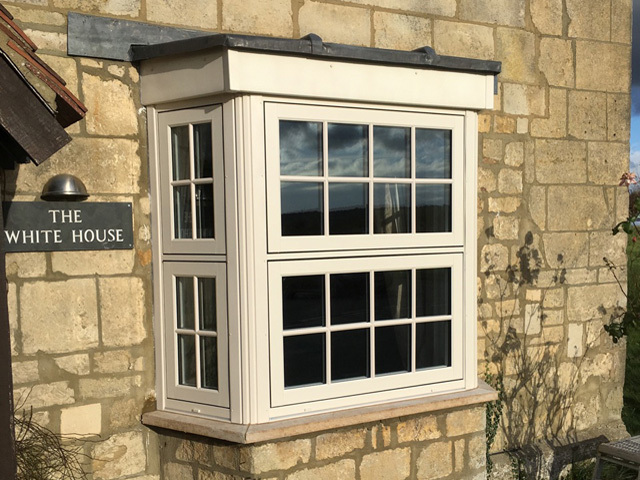 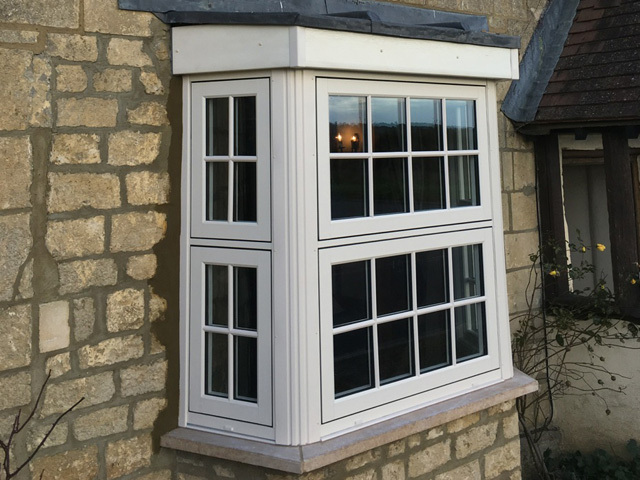 The Residence 9 Geor-gian bar has bespoke sections that typically replicate deep decorative detailing inside and the chamfered putty line outside. 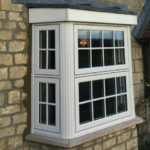 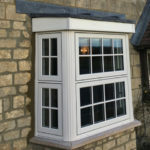 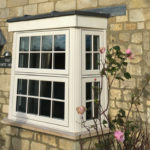 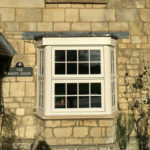 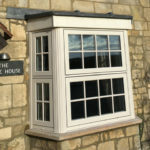 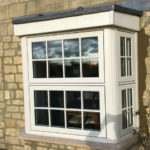 They are a wonderful example of timber alternative windows that prove very popular within our catchment area. 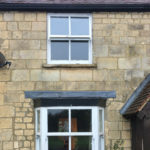 Our customers and their neighbours were truly amazed at the transformation of their property and shocked at how in-keeping the modern material is. 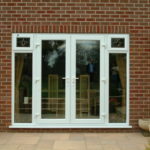 The installation has completely uplifted the exterior of the building and will obviously have added value to the property.